Algorithms are not known for their emotional intelligence, but in part one of this article I introduced Cogito, an application that analyzes behavioral signals in voice conversations to improve interactions with enterprise customers and monitor mental health patients. Measuring emotional . . . Letting others make their own decisions leads to a more dynamic approach to running a business, suited to the demands of an AI-fuelled economy There is a lot of debate over how artificial intelligence (AI) will impact people’s jobs and . . .
Data has never been more powerful than it is right now. 2018 saw some of the largest data breaches in history come to light, including the Marriott hotel group breach and the Cambridge Analytica scandal, both of which had troubling . . .
80% Of People Don’t Trust AI With Money – How Can We Fix Its Image? Should we trust Artificial Intelligence (AI)? When it comes to our finances, only a fifth of us do. New research from VMware, a leading innovator in enterprise software, found that while 73% of UK respondents would trust AI to look . . .
Isaac Asimov’s Predictions For 2019: How Accurate Was The ‘Three Laws Of Robotics’ Creator? On the 31st of December 1983, Isaac Asimov predicted what the world of 2019 might look like, as part of The Toronto Star’s feature leading into the namesake year of George Orwell’s 1984. 35 years later, with the benefit of . . .
A survey of 2,000 workers has found that most don’t rate the chances of an AI being able to take their jobs away from them in the next 15 years, as it’s fairly hard to imagine exactly how these magical . 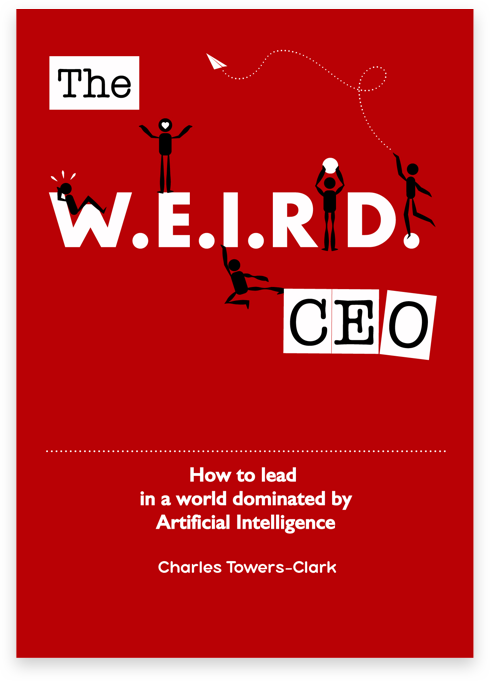 . .
A survey of over 2,000 UK participants commissioned by Charles Towers-Clark, Author of The Weird CEO: How to lead in a world dominated by Artificial Intelligence, Group CEO of global IoT provider Pod Group and international lecturer on the future . . . However, only one in 20 British workers are worried about losing their jobs in this way over the next 15 years. This is according to a survey of over 2,000 people in the UK by Charles Towers-Clark, author of The . . .
New research has revealed that only one fifth of UK employees fear that artificial intelligence (AI) will put them out of work in the next 15 years despite the fact that 1 in 10 employers (12%) have replaced a job . . .